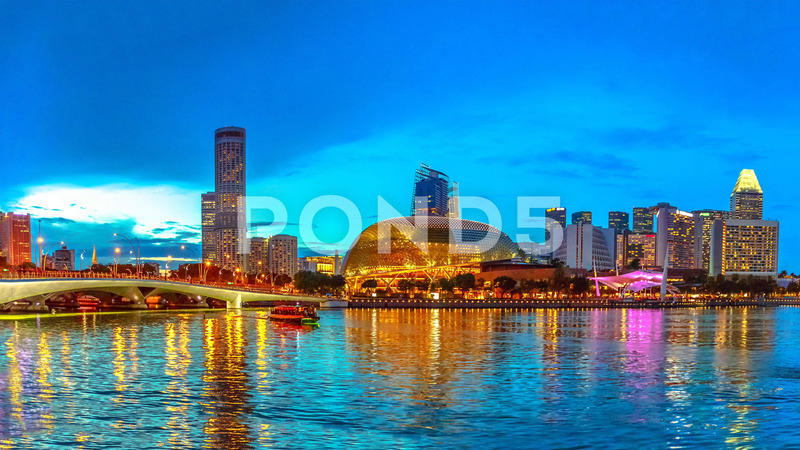 Description: Panorama of marina bay skyline with evening lights reflecting in the sea at blue hour. Singapore cityscape by night. Night scene waterfront.